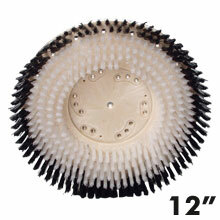 TUFF-BLOCK General Purpose Polyprolyene Scrub Brush - 12" Dia. 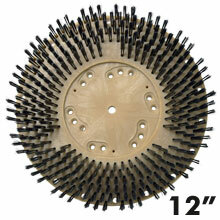 Tuff-Block General Purpose Nylon Scrub Brush - Plastic Block - 12" Dia. 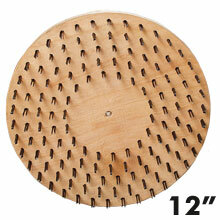 TUFF-BLOCK Carpet Shampoo Scrub Brush - Wood Block - 12" Dia. 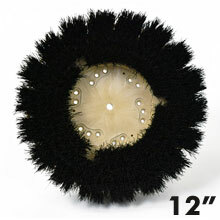 TUFF-BLOCK Carpet Shampoo Scrub Brush - 12" Dia. 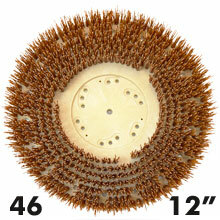 Mal-Grite Lite Light Duty Scrubbing Brush - 500 Grit, 12" Dia. 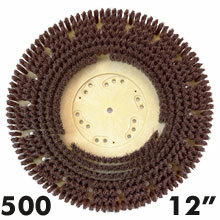 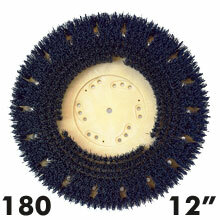 CLEAN-GRIT Rotary Medium Scrubbing Brush - 180 Grit, 12" Dia. 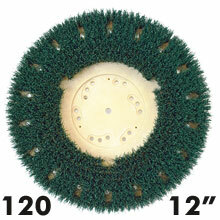 Mal-Grit Scrub Grit Rotary Scrubbing Brush 120 Grit, 12" Dia. 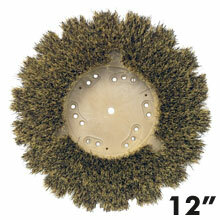 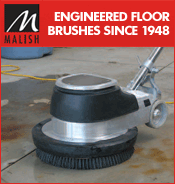 Mal-Grit Grit Rotary Stripping Brush - 80 Grit, 12" Dia. 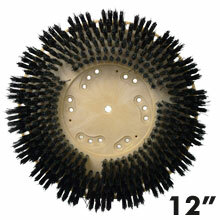 Bassine Scrubbing Brush - Plastic Block - 12" Dia. 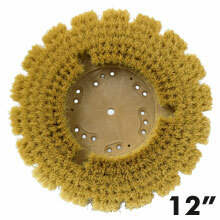 Union Mix Polishing Brush - Plastic Block - 12" Dia. 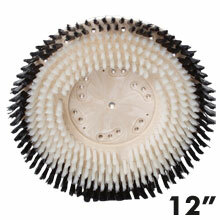 White Tampico Polishing Brush - Plastic Block - 12" Dia. 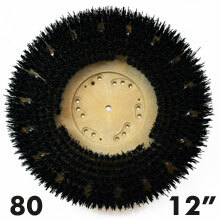 Flat Butcher Wire Concrete Scarifying Brush - 12" Dia. 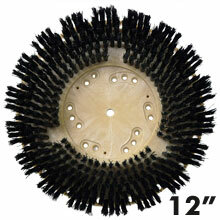 TUFF-BLOCK General Purpose Concrete Scrub Brush - Plastic Block - 12" Dia.